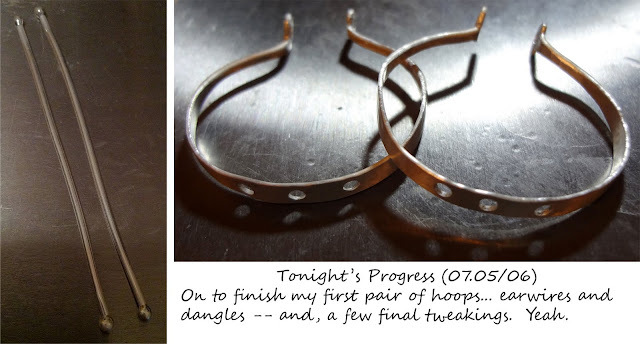 One step closer... LOL -- tonight (5th) and wee hours of a.m. (6th) worked on making the beads at both ends of the hoop as shown in the composite photo; and, hammered, texturized, annealed, drilled, shaped. Hoping tonight to finish my first pair. Whew - sure takes longer as a novice!